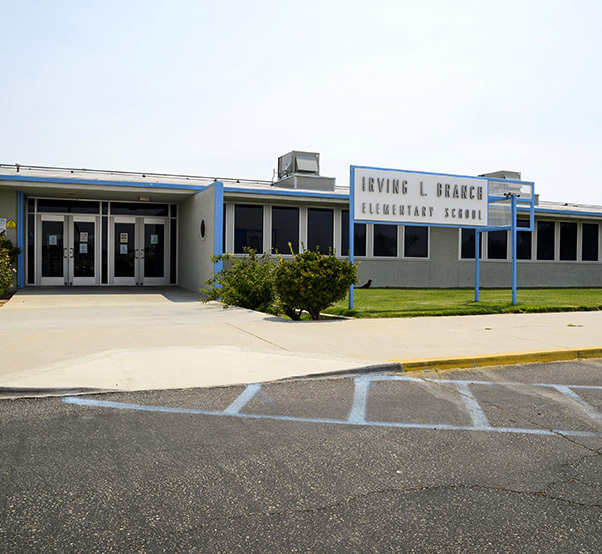 Irving L. Branch Elementary on Edwards was built in the 1950s. 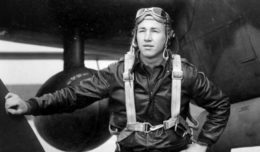 The future just got brighter for the schools at Edwards Air Force Base, Calif., thanks to a $63.5 million Department of Defense grant that was approved last week. School district officials say they were informed that the director of the Office of Economic Adjustment signed the grant award and a formal letter notifying the district of the award has been received. 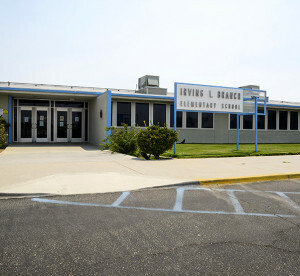 Both Desert Junior-Senior High School and Irving L. Branch Elementary were built in the 1950s and Bailey Elementary has been closed for several years. Walker explained that the district already has a plan for what it wants to do with the aging schools. 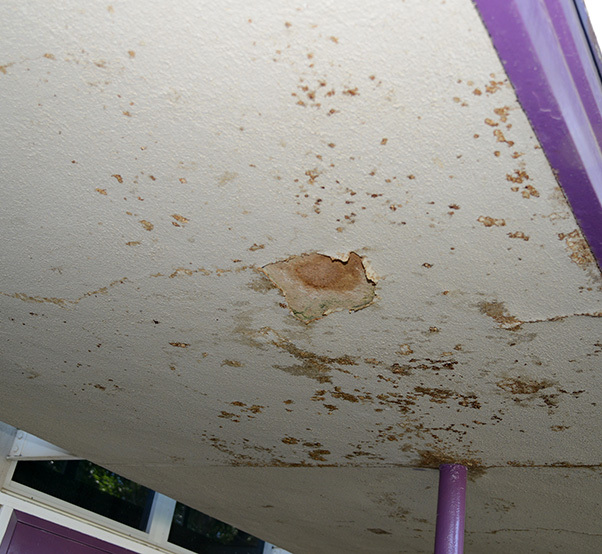 Leaky roofs and water damaged ceilings show the age of Branch Elementary School. “The vision for the facility project will be to move the campuses closer along a centrally shared outdoor amphitheater; reopening Bailey Elementary; building a new Branch Elementary and modernizing Desert Junior-Senior High School. This will be done in two large phases,” Walker said. The first phase will focus on grades transitional-kindergarten to 6th grade as well as some shared-use buildings between the schools. The district plans to modernize Bailey Elementary with new kindergarten wings constructed. At the same time, the old Payne campus (also known as the Center of Excellence) will be demolished to make room for a brand new Branch Elementary. Some of the shared-use buildings being discussed are an amphitheater, a library-multimedia center and a formal theater. Once phase one is completed, elementary students will occupy Bailey and the new Branch, according to Walker. “Phase two will start with the students at Desert High occupying the former Branch school temporarily so the Desert school construction can begin. The campus will be modernized with some new construction. At the conclusion of construction, students will return to Desert and the facilities at the former Branch campus will be demolished. The scope of this phase is contingent on both Office of Economic Adjustment funding and the district’s ability to find more match money,” said Walker. Desert High and Branch Elementary fall on a DOD list of 33 schools across the nation that are a priority for funding. 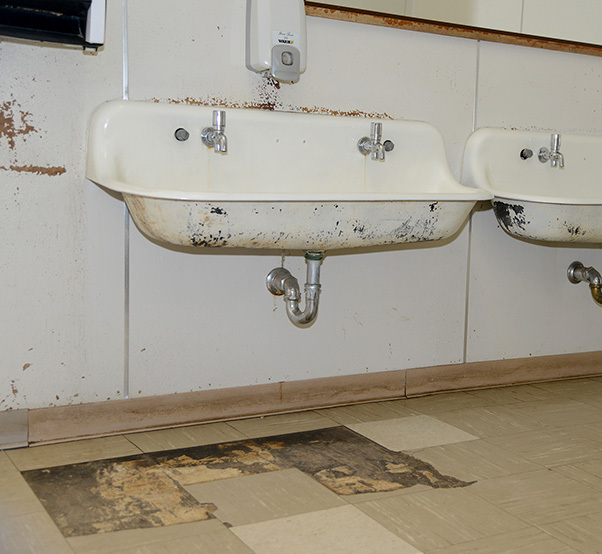 Both schools qualify for the Public Schools on Military Installations Grant Program for renovation, repair or reconstruction of their facilities. However, in order to qualify for the grant, local districts must come up with 20 percent of matching funds, which has been difficult for the Muroc district. Military bases like Edwards are not taxed like civilian communities throughout the state, which can create bond measures to pay for schools. A measure last year to get the matching funds from the state of California produced no real money and MJUSD had to come up with another way to get the 20 percent matching funds, according to Walker. “The district was able to move forward with the proposal and application for phase one by proposing our match be in-kind and a non-cash match. 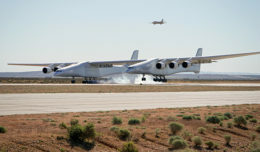 While this has provided enough match to move forward, we do not yet have enough match monies to complete both phases of the project,” said Walker. The district had to demonstrate that the modernization of Bailey Elementary and the ultimate demolition of Branch saved money and would achieve the desired match that the DOD required, Walker said. He added that the district is working with the California Department of General Services and Office of Public School Construction to attempt to find additional match dollars through special allocations such as seismic retrofit and facility hardship dollars. However, the process to obtain these funds is very technical and requires special evaluations. “Based on initial discussions with the authorizing agencies, we are hopeful these funds will assist in providing the much needed match. But, at this time we are still millions short of the required match for the comprehensive project,” Walker said. Still, district officials say they are elated with the recent grant award and look forward to the future construction and renovations.